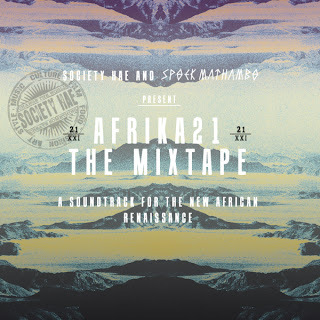 Afrika21 The Mixtape Your Soundtrack To The New African Renaissance project features a deliciously rich collection of contemporary African musicians curated by Society Hae. Afrika21 is the definitive voice of Africa's emerging creative thinkers in music, art & culture. Presently, coverage of the continentʼs fundamental weaknesses - civil war, poverty, and helplessness, overshadow the well of innovation rapidly emerging from Africa and the Diaspora. Afrika21 gives audiences a first hand look at 21st century contemporary African music and culture to create a new dialogue around Africa. The Afrika21 Mixtape Project is an opportunity to celebrate Africaʼs next wave of musicians, highlight the renaissance taking place on the continent and raise the profile of people and organizations working toward framing a new vision of Africa in the 21st century.